Gamekings was in LA during the E3, filming and broadcasting on Twitch everything they were doing during the event. 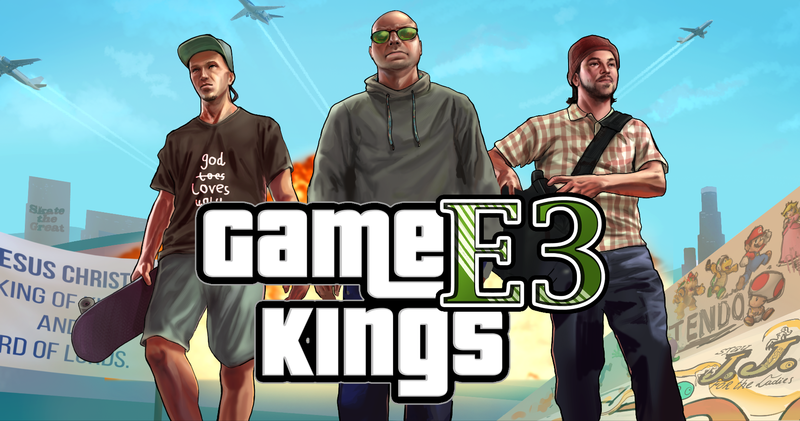 To celebrate that, I’ve painted a Gamekings-GTA5 mashup, featuring Gamekings’ Emiel, Boris and Jelle not looking at explosions. People on Twitch were also able to see me painting the image in Photoshop. The image is now used on the Gamekings website, as you can see here. By the way! 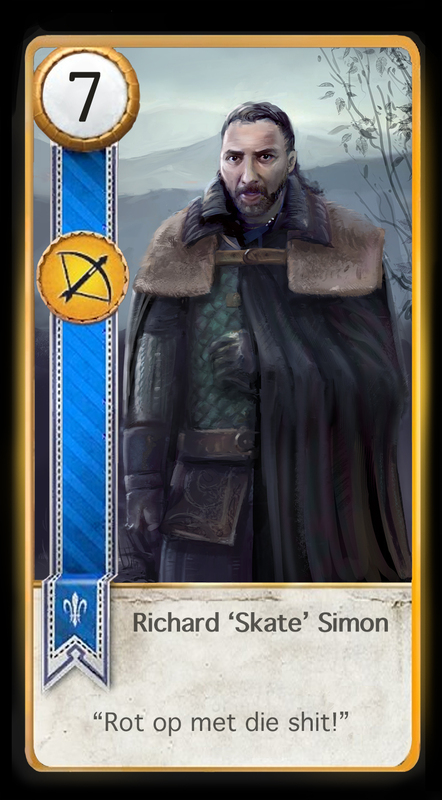 As a thank you for sharing, I’ve also painted Gamekings’ Skate as a Witcher 3 Gwent card.